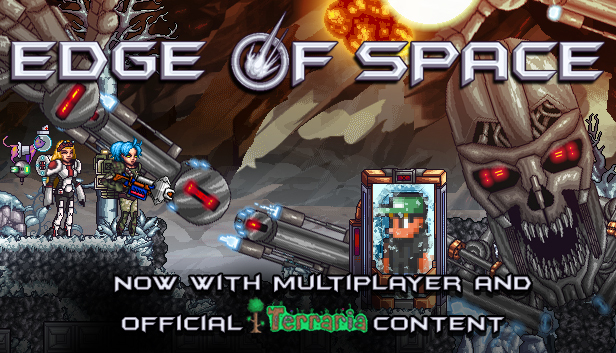 Edge of Space is an Early Access title in Beta. 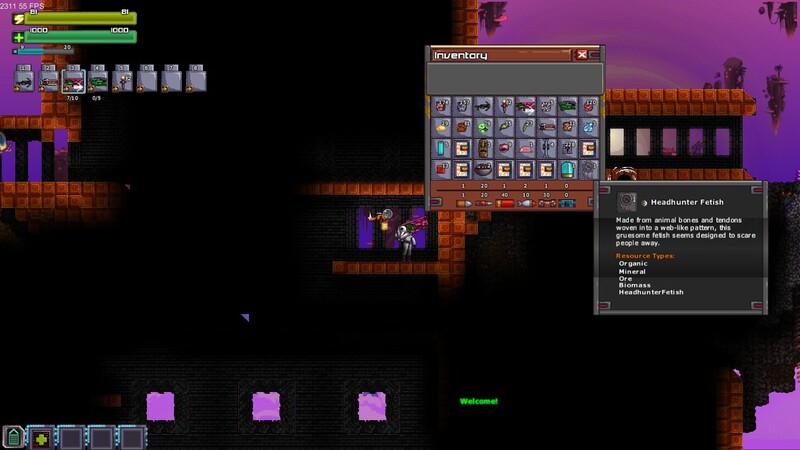 This means the game is not fully optimized and various bugs are present. 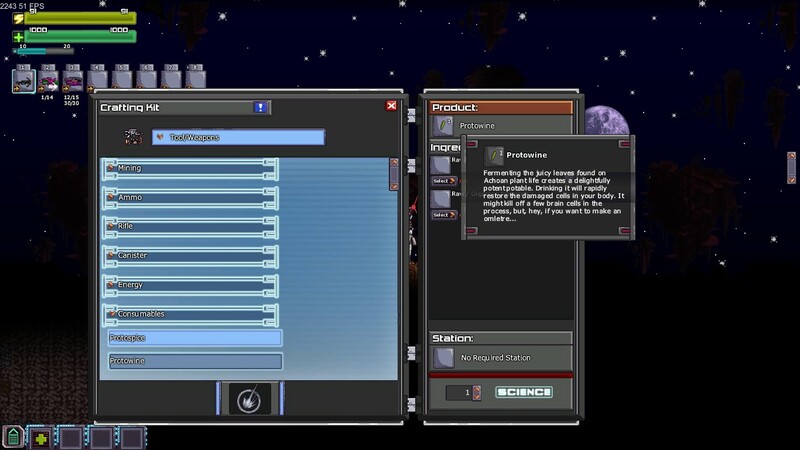 However, this also means that Edge of Space is continually being updated, refined and improved based on YOUR feedback. 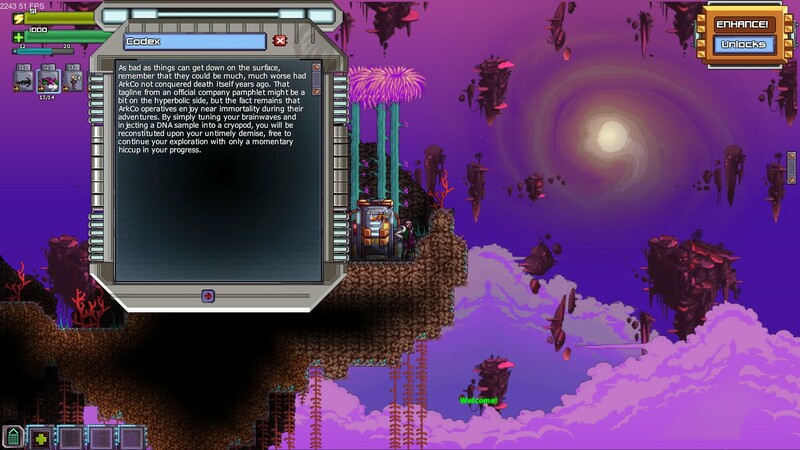 Edge of Space is a randomly-generated sandbox game in the style of Terraria, with an emphasis on combat and a vibrant sci-fi setting. 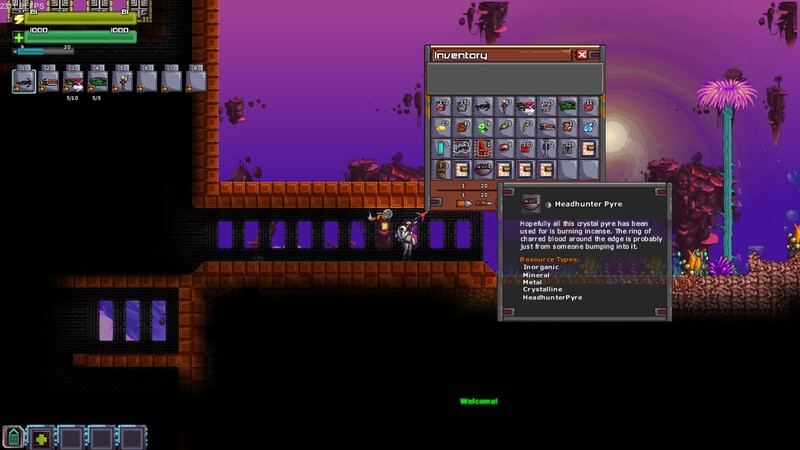 Players use Science to craft items instead of alchemy, guns to destroy enemies instead of enchanted swords and “Navigation-Data” to find Bosses instead of rituals. 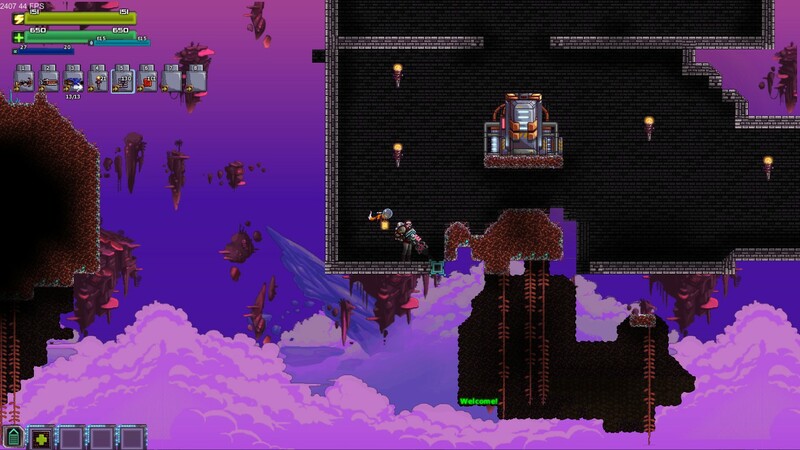 This makes Edge of Space a valid and exciting alternative to Terraria for Christian gamers and those looking for a change of pace. 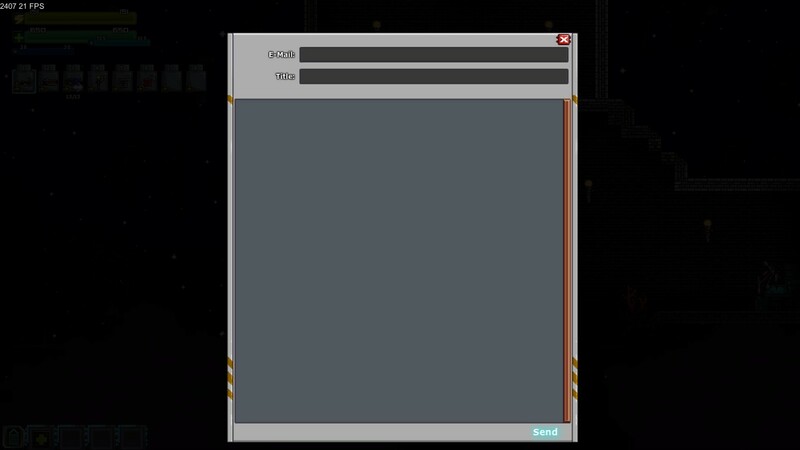 The first indicators that you are dealing with a truly special Early Access game are two small icons on the Main Menu. A Support Ticket icon and Update Alert icon. The icon at the bottom-left tells you when the game will next be updated. This signals the amount of confidence Handyman Studios (the developers of Edge of Space) places in their ability to deliver. Barring a recent unfortunate illness, I haven’t seen the team miss a single deadline. 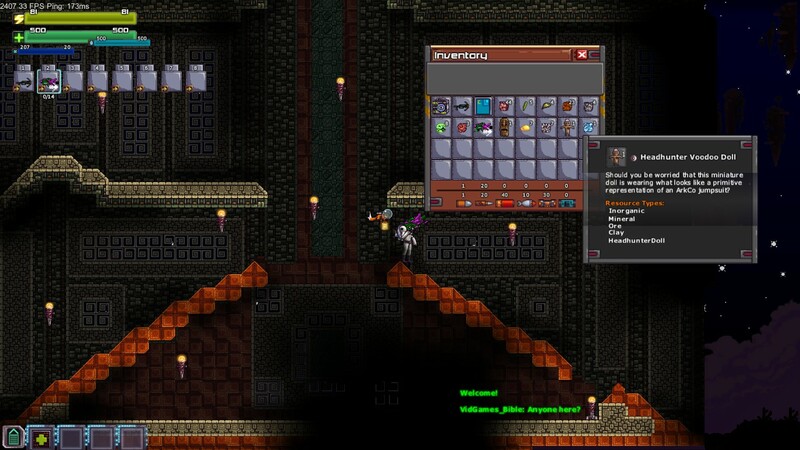 Randomly-generated “Headhunter” Dungeons were added in a recent, extremely large update. 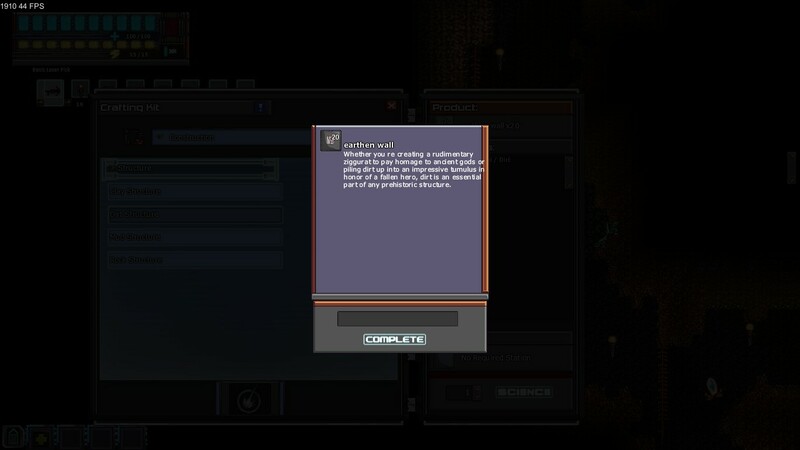 The icon at the top left tells the player they can submit a “Support Ticket” or alert the developers to a bug/glitch from inside the game itself. 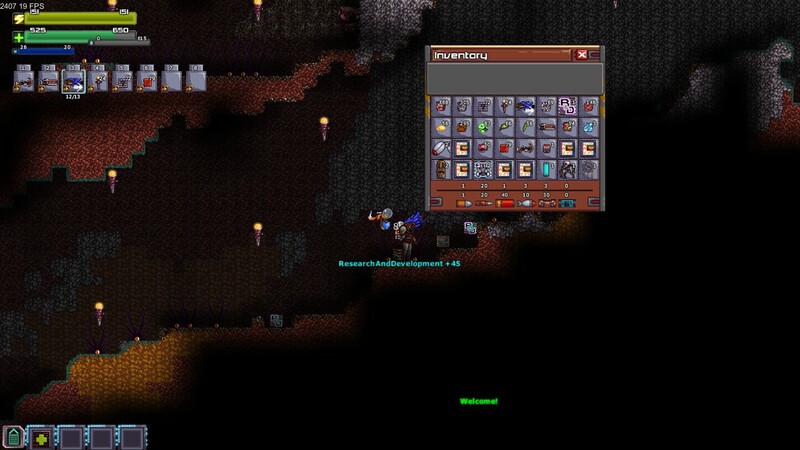 These features show an attention to detail and an eagerness to accept feedback and please the community that is essential to any Early Access game. 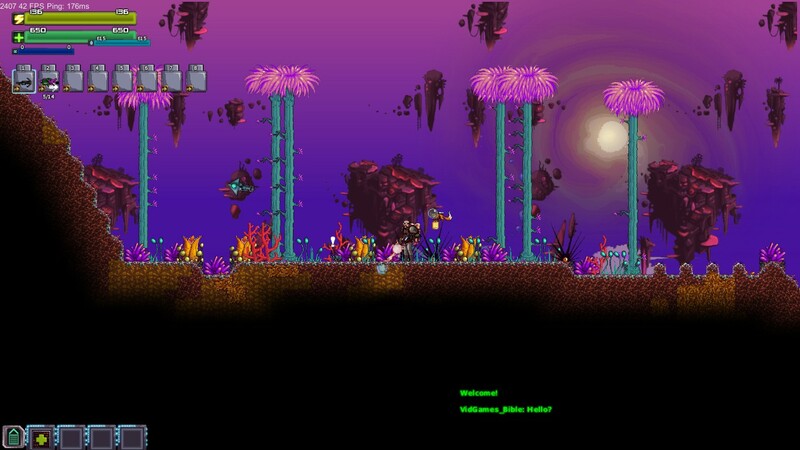 Gameplay currently consists of mining the wild surface of Achoa to gain resources and fighting off various alien creatures. 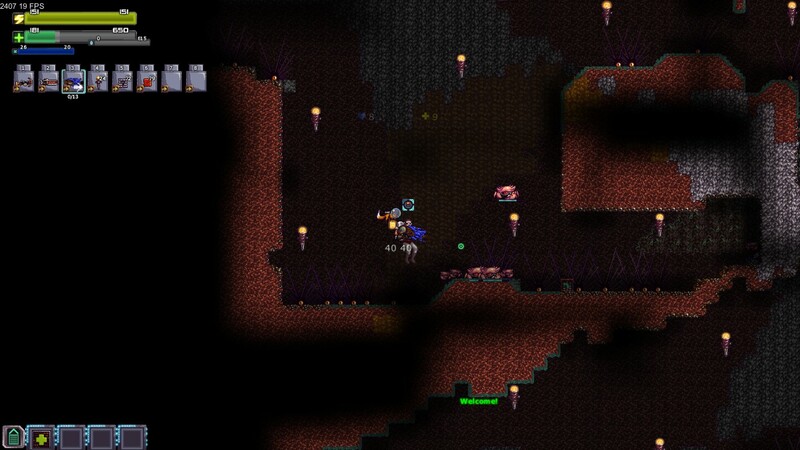 Attacking a Crab Nest to gain a chest of valuable loot and resources…This probably won’t end well. gives me +45 points of progress in that category. 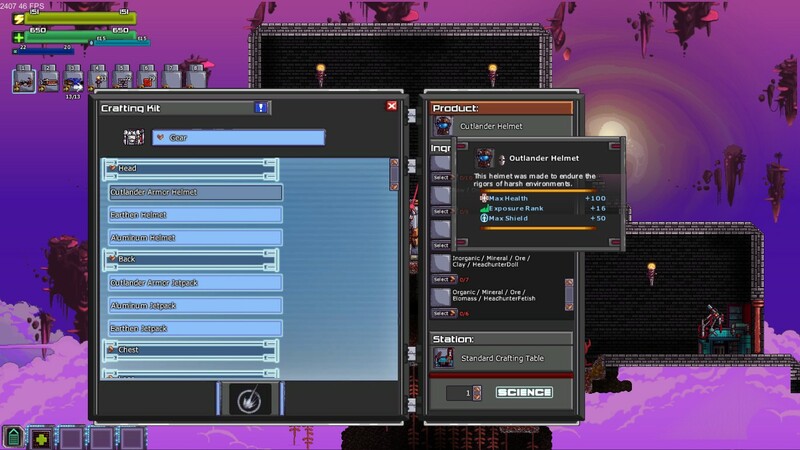 Leveling up a category allows you to craft new, more powerful equipment and begin building a base of operations. 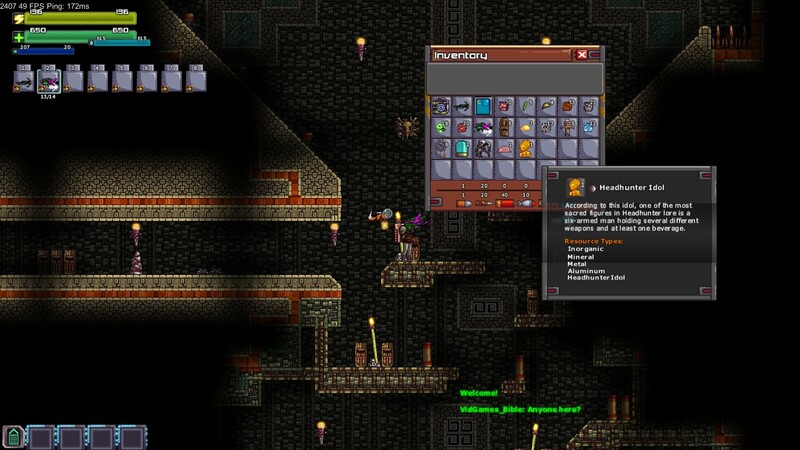 Leveling up the “Furniture” category for the first time allows you to begin building walls and doors for your base. 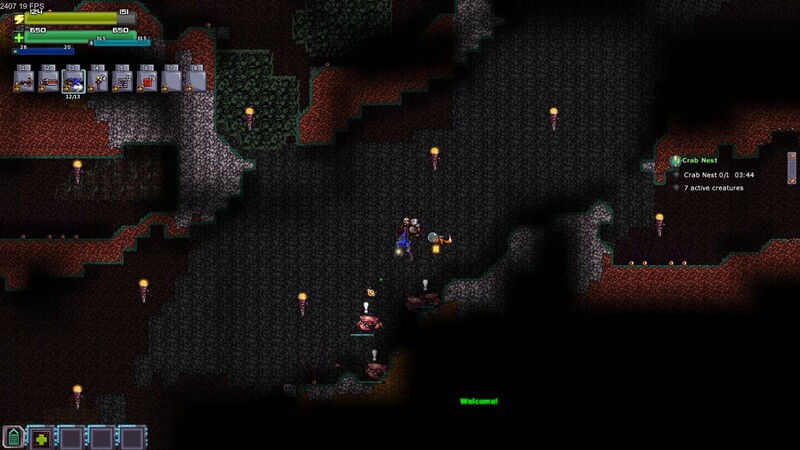 …and using them to expand my base. 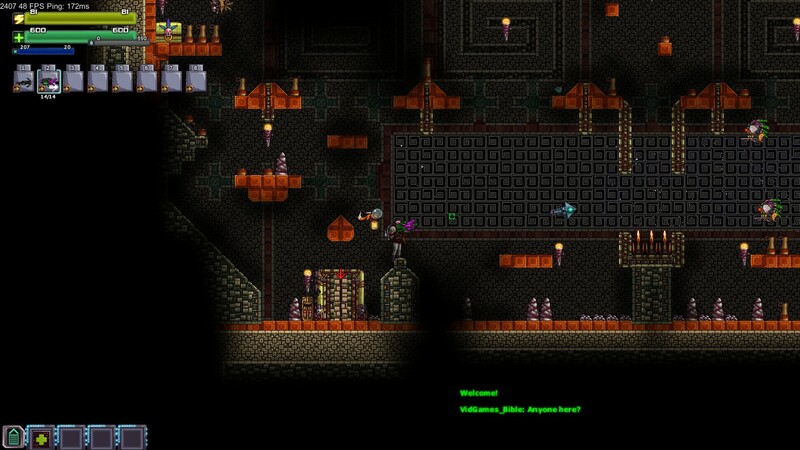 In Multiplayer, you can build, fight and level up with friends. This lets you accomplish much more in a smaller time-period. 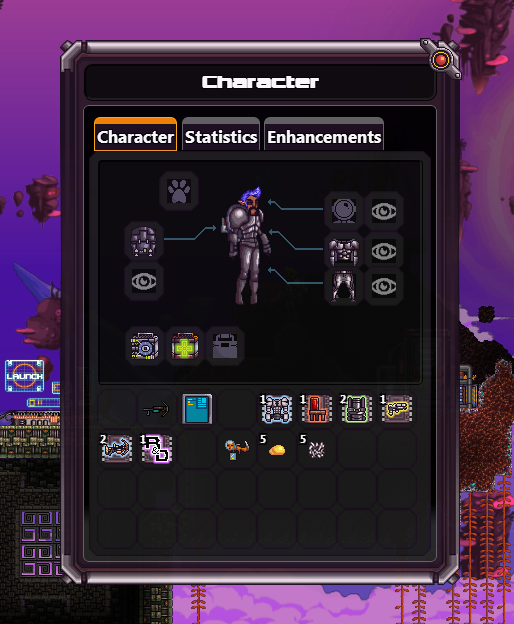 A photo of the new UI update scheduled for this weekend. 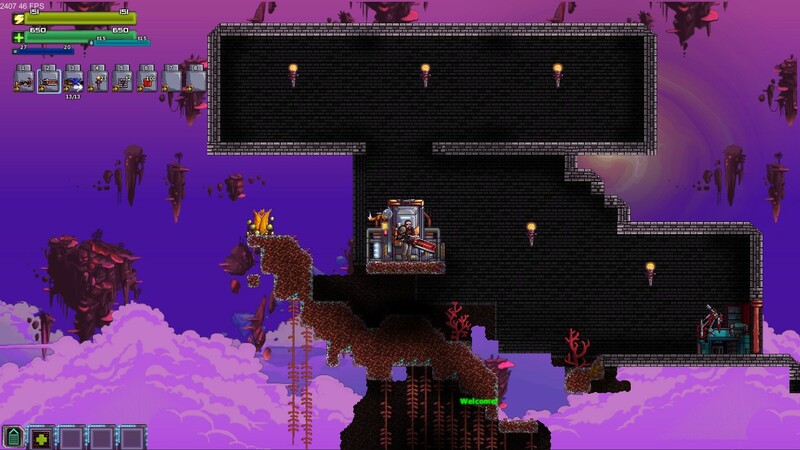 Although features like the ability to terraform the planet and fight “laser space sharks” are still in development, the amount of content currently in Edge of Space is more than satisfying. 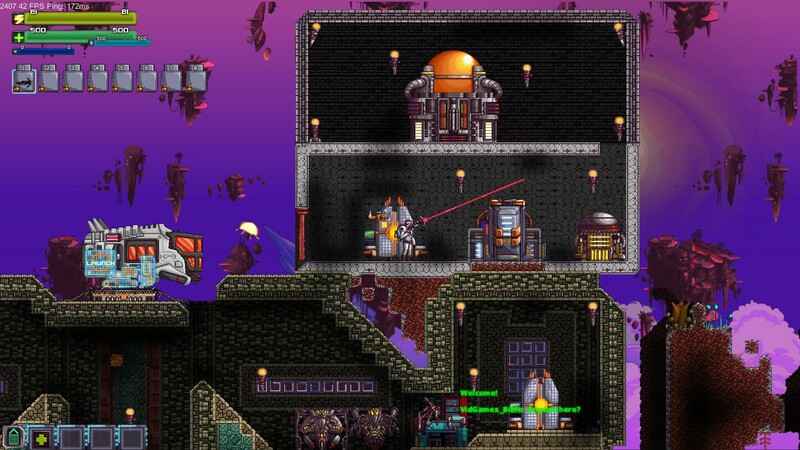 Edge of Space is an exciting and extremely engrossing game that provides both an alternative to Terraria for Christian gamers, and an addicting new experience in the genre to those looking for a change of pace. 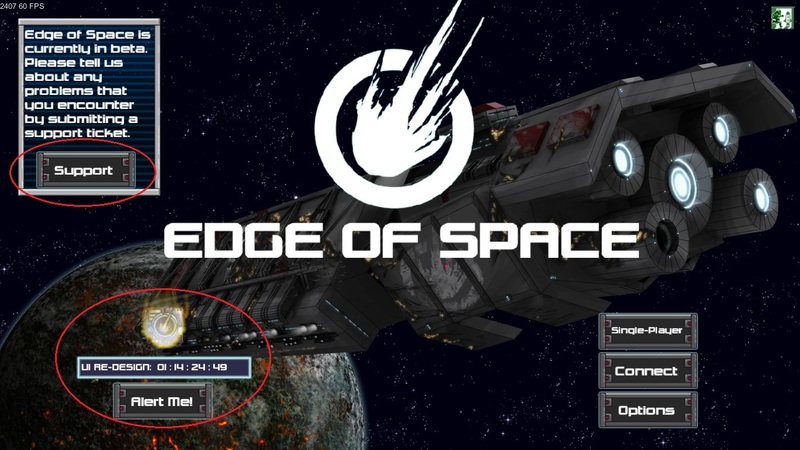 Although you might want to hold off on playing the game until development is finished (due to occasional character wipes), picking up Edge of Space during Early Access gives you a discount and additional benefits in the final product. The main Potential Concern (at this point in development–remember, the title is in Early Access, so circumstances may change) is certain elements of the Headhunter civilization. 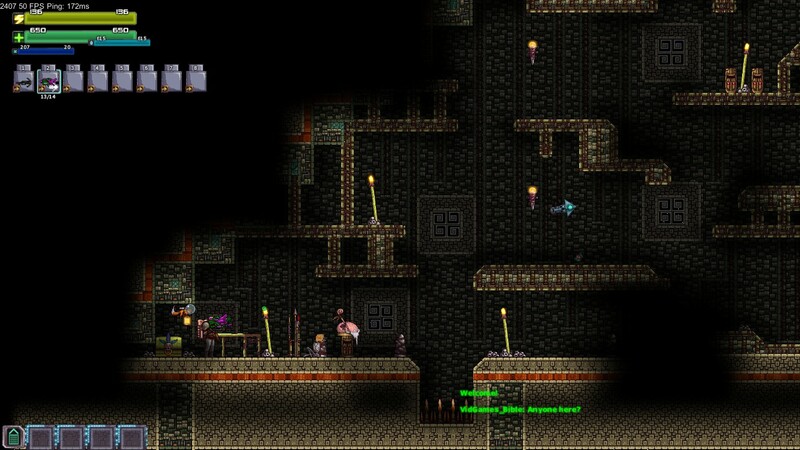 Inside the world, you’ll find Headhunter Outposts and temple-like structures (alongside the randomly-generated dungeons discussed in the body of this review). 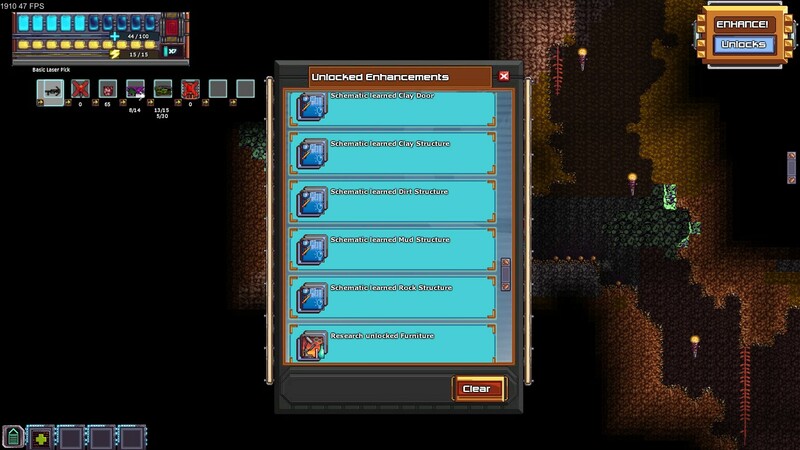 These locations contain Headhunter artifacts including Idols, Totems, Voodoo Dolls and sacrificial Pyres. 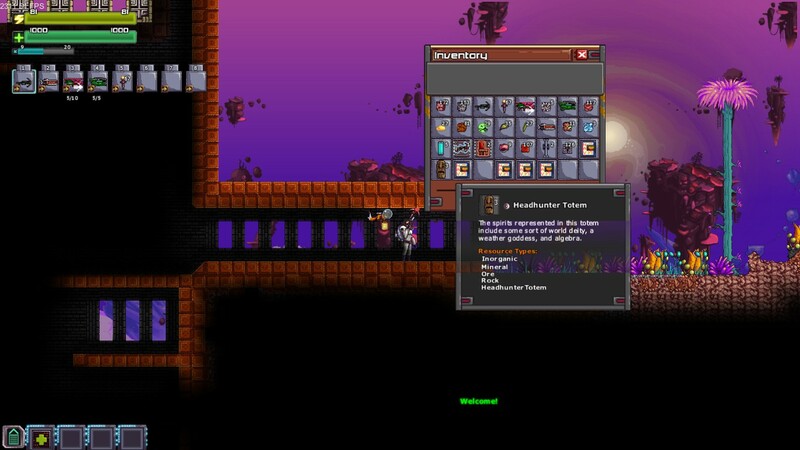 These artifacts can be used as materials for crafting high-level items. This Outlander Helmet requires 7 Headhunter Dolls and 6 Headhunter fetishes to craft, among other ingredients. 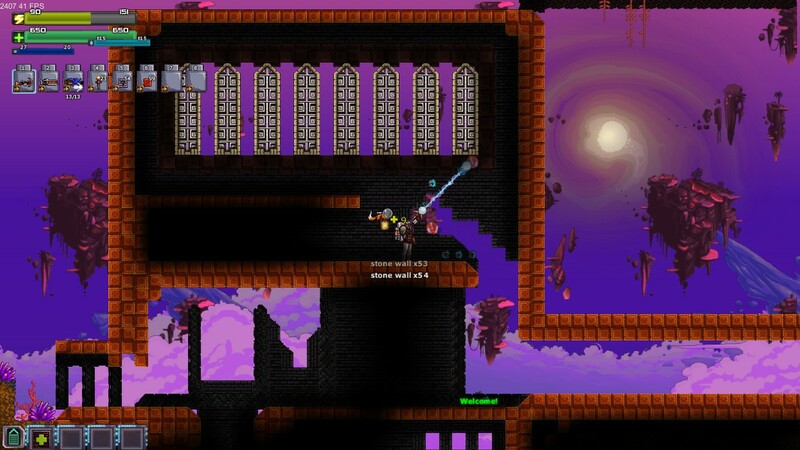 This entry was posted in Uncategorized and tagged action oriented, ArkCo, Beta, Bible, build, christian, christian gaming, christian review, christianity, combat, Early Access, Edge of Space, EoS, family-friendly, gaming, God, idol, indie, KJV, paid, PC, review, sandbox, sci-fi, space, Steam, Terraria, Terraria Alternative, video game, video games, video games and the Bible, Video Games and the Bible Gameplay, Video Games and the Bible Highlights, Video Games and the Bible Plays..., Video Games and the Bible Previews, Video Games and the Bible Reviews, Video Games and the Bible Video, videogame, videogames. Bookmark the permalink.